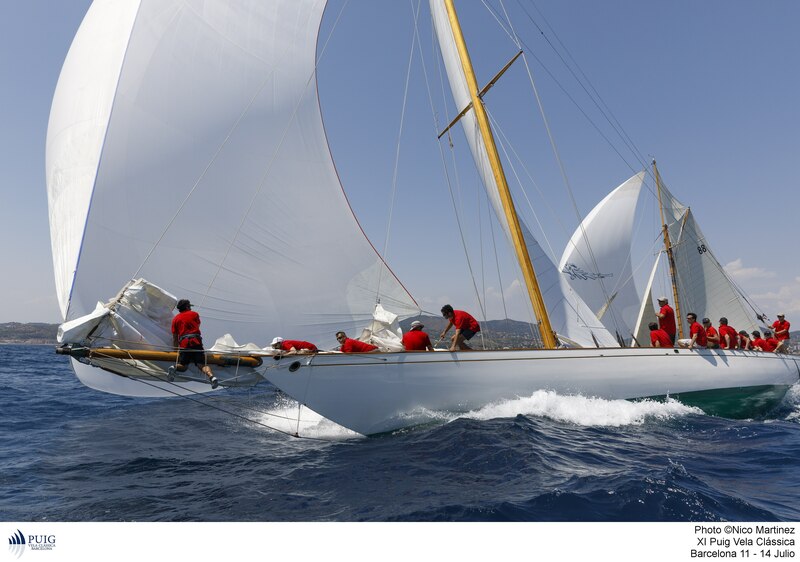 This Thursday the XI Puig Vela Clàssica Barcelona regatta kicked off at Real Club Náutico of Barcelona. 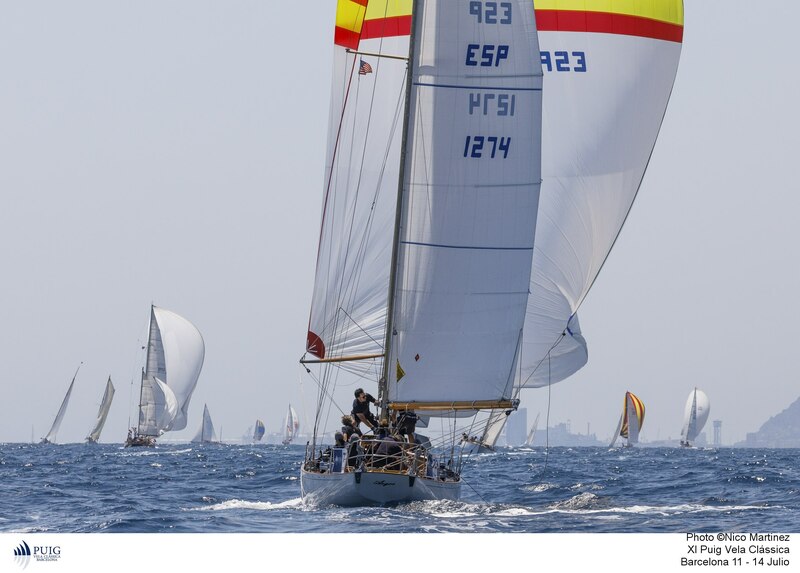 Favorites yachts to win did not fail at this first competition day where crews got ready to obtain their best results and showed their expertise in maneuvers such as changing sails depending on the not always easy breezes of Barcelona coast. A very special first regatta day where the boats have sailed parallel to the coastline, where thousands of fans and tourists have been able to enjoy a unique show in a capital from the beaches and the Port Olímpic. At 1:00 pm the procedure for the start line of the five categories called out was carried out punctually. The predominant easterly wind, with a 10 and 12 knots force allowed for the sailing amateurs impressive maneuvers and a very high competition level. The race committee started in front of Port Olímpic, looked for an unmarked buoy and headed towards Masnou. Once there a second buoy marked the return to Barcelona sailing perpendicularly to the keel, towards a new buoy in front of La Barceloneta beach and embarking on the short final stretch sailing close hauled until the arrival, which also allowed tourists and citizens of Barcelona to enjoy this nautical spectacle. 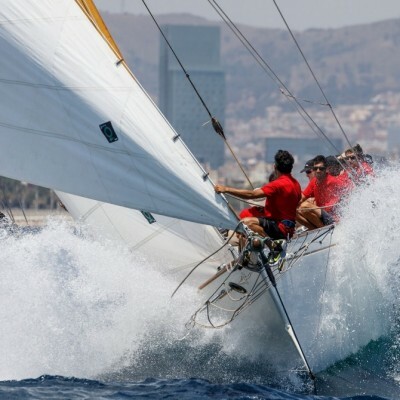 The strong current took its toll on some exits and at the Masnou buoy, where some boats wandered in the final approach and were forced to perform additional maneuvers. The Big Boats fleet offered a very competition with duels just as from the very beginning, and decisive tactical moments during the long haul. At the start, the Halloween started setting sails to tack starboard and making its way over the others, forcing the two Moonbeam and the Kelpie of Falmouth to tack. As a result of this the three of them sailed so close, as in a match race, provoking dirty air. 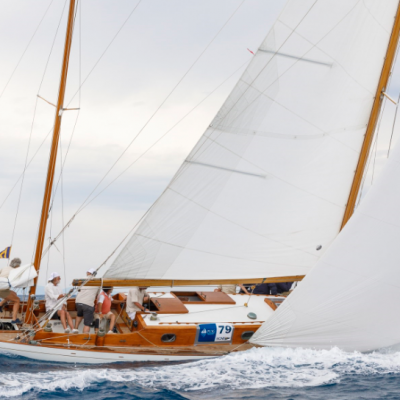 After the unmarking buoy, the Moonbeam IV used its largest length to overcome the Halloween first and right after the Moonbeam III, keeping this order until Masnou. Tacking the buoy, the two pursuers hoisted their spinnaker sails and approached the leader which, wandering with its big bow sail formed a stopper, making it very difficult for the pursuers to overtake with a blew off wind. At the end the Moonbeam III and then the Halloween could get away from the leader’s great dirty air, and overcome it before the last mark. In the final section, the Halloween sailed along the seaside where it was able to overcome the leader Moonbeam III and retain the Moonbeam IV, which crossed the finish line in the second position. Once applied the time compensation, the Halloween confirmed its victory with 1:41 minutes over the Moonbeam III, followed by the Kelpie of Falmouth. 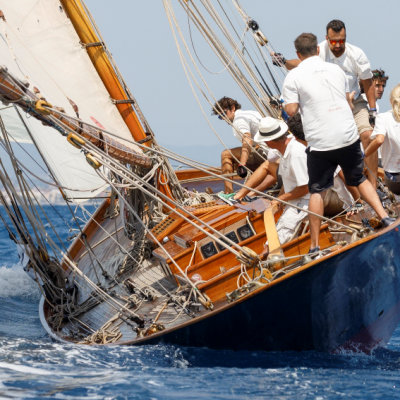 The most numerous fleet, Classics 1, had the Guia as the clear winner and showed its experience in the Barcelona regatta field and savoir faire. After the time compensation it was imposed with a margin of 5:28 minutes over the Yanira, followed by the French sailboat Emeraude. A similar outcome at Classics 2 class, clearly dominated by the Argos after sailing consistently. Altamar was the second classified, ten minutes after time compensation followed by the Diana. 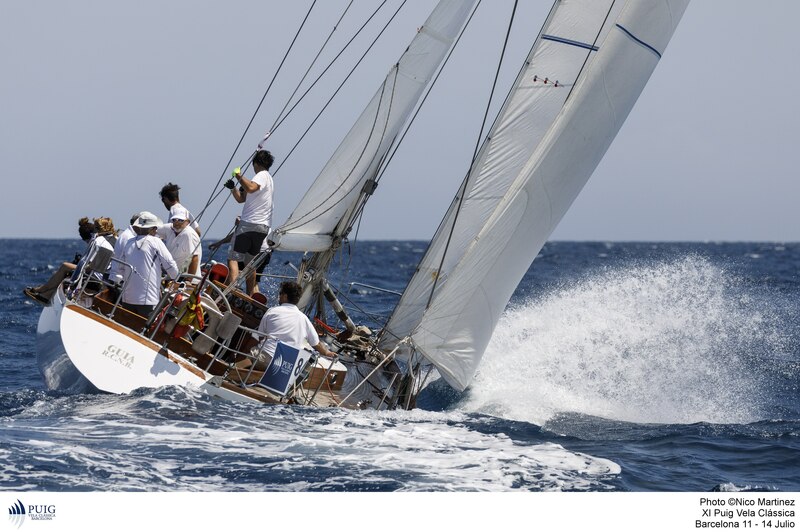 This time the always favorite Alba could rank fifth, due to its bad start and a complicated sailing in Masnou buoy. 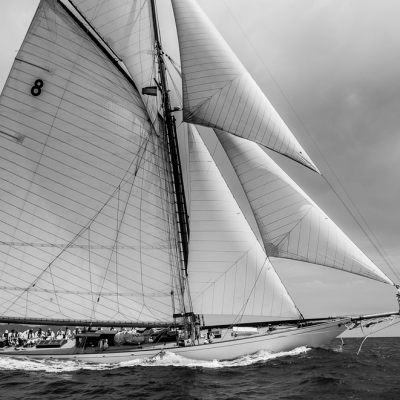 The Peter won in the newly renamed category Bermudian Époque, the former Marconi Époque, with 4:26 minutes advantage over the Mercury, standing out both from the French sailboat Irina (22 minutes from the winner), and the Islander, classified 30 minutes after. In the Cangreja Époque, the Marigan was the winner, followed by the Gipsy and the Freda.